Art lovers and creative minds often gather at the Sharon Building in Golden Gate Park to enjoy the activities of the Sharon Arts Studio. Built in 1888, the sandstone building takes on the style of Richardson Romanesque architecture. Although the building has suffered damage due to an earthquake and fire on two separate occasions, it has been restored to its original appearance. Today, the community art center offers an assortment of affordable classes in fine and applied arts for both adults and children. 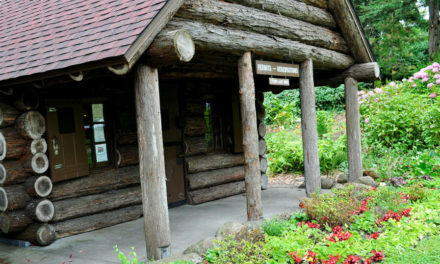 Situated on the east end of the park, the Sharon Building has become a fixture in the community for more than 100 years. With plans to initially serve the public as an indoor play area and extension of the playground, the building has since morphed into a center for art exploration. As the largest fine art community studio in San Francisco, many adults, youths, teens and seniors come to participate in classes, seminars, and workshops. •	Drawing & Mixed Media (Cut, Paste &Draw) – For youths, the class focuses on cutting, tearing, gluing and drawing, where young artists work with magazines, tissue paper, wrapping paper, and colored pencils. •	Youth Cartooning Workshop – Students will learn how to create cartoon characters, backgrounds, and storylines using materials such as pencils and markers. •	Introduction to Calligraphy for Adults – Participants explore the writing techniques that involve a traditional art form of line and shape. •	Couples Art Mixed Media Workshop – Couples can sign up to experience a 3-hour workshop that allows them to explore watercolor, collage, or simple line drawings with their first mate. Other mediums and materials offered at the Studio include mosaics, stained glass, glass fusing, silver clay jewelry making, anime, ceramics using the wheel, clay sculpture, screen printing, beading, and working with leather. After a visit to the Sharon Arts Studio, perhaps you have time for a whirl on the Golden Gate Park Carousel, which stands directly behind the building.